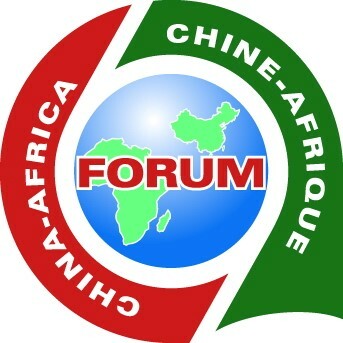 [Consultation Mechanism] As prescribed in the Program for China-Africa Cooperation in Economic and Social Development, adopted at the 2000 Ministerial Conference of FOCAC, China and Africa agreed to set up joint follow-up mechanisms to conduct regular evaluations on the implementation of the follow-up actions. In July 2001, a FOCAC ministerial consultation meeting was held in Lusaka, capital of Zambia, at which the Procedures for Follow-up Mechanisms of FOCAC were deliberated and adopted. The follow-up mechanisms officially took effect in April 2002. The FOCAC follow-up mechanisms are built at three levels: The Ministerial Conference is held every three years; the Senior Officials Follow-up Meeting and the Senior Officials Preparatory Meeting for the Ministerial Conference are held respectively in the year and a few days before the Ministerial Conference is held; and the consultations between the African Diplomatic Corps in China and the Secretariat of the Chinese Follow-up Committee are held at least twice a year. The Ministerial Conference and the Senior Officials Meeting are held alternately in China and an African country, with China and the African host being co-chairs presiding over the meetings and taking lead in implementing the outcomes of the meetings. The Ministerial Conference is attended by foreign ministers and ministers in charge of international economic cooperation, and the Senior Officials Meeting by director-general level officials of the competent departments of China and African countries. Apart from the above-mentioned three levels of consultation mechanisms, in view of the needs of expanding China-Africa relations, China and Africa upgraded both the Third Ministerial Conference of FOCAC, held in November 2006 in Beijing, and the Sixth Ministerial Conference, held in December 2015 in Johannesburg, to FOCAC Summits. The 2006 Beijing Summit also decided that political consultations between Chinese and African foreign ministers be held on the sidelines of UN General Assembly sessions held during the year after each Ministerial Conference. The Chinese and African foreign ministers held four political consultations in New York in 2007, 2010, 2013 and 2017, respectively. To jointly promote the implementation of the outcomes of the Johannesburg Summit, China and African countries held the Coordinators’ Meeting of the Implementation of the Follow-up Actions of the FOCAC Johannesburg Summit in Beijing in July 2016. In addition, with the ever expanding and deepening China-Africa cooperation, various sub-forums have been established within the framework of FOCAC. They include the China-Africa People’s Forum, China-Africa Young Leaders Forum, Ministerial Forum on China-Africa Health Cooperation, Forum on China-Africa Media Cooperation, China-Africa Poverty Reduction and Development Conference, FOCAC-Legal Forum, Forum on China-Africa Local Government Cooperation, and China-Africa Think Tanks Forum.